The marches were electric. The energy was palpable. In 2017, and again in 2018, women united on the weekend of Jan 21 in solidarity to oppose the current administration, the injustices it has invoked, and the bigotry it has evoked. Here in London, DAUK Women’s Caucus organized the March to the Ballot Activist Faire and the Women’s March in London organized a second march to commemorate, celebrate, and reinvigorate our efforts as we stride into this midterm election year. As it was around the world, here too we felt the enthusiasm, power, and collective strength of women when we say en masse Time’s Up, MeToo, and no more- to the prejudice, selfishness, and erosion of democracy that is a mainstay of this government and its emissaries. Last year, women demanded our voices be heard- and they were. We made 86% of all calls to federal representatives, and as a result we won 6 democratic seats, stayed the travel ban, supported ACA and the dreamers, and blocked the ban on abortion. Our own co-Chair, Lan Wu, led a powerful and impassioned speech at the Women’s March and the resounding cheers from the crowd echoed her sentiment that democratic achievements in 2017 are due to the dedication, commitment, and perseverance of women. And the victories of women don’t stop there. When African American women in Alabama mobilized, they put Doug Jones and the Democratic Party in an important seat in the senate. When Andrea Jenkins took office as Minneapolis City Councilory, she became America’s first openly transgender woman of color to be elected office. When Alicia Garza, Patrisse Cullors, and Opal Tometi founded Black Lives Matter, they created a movement that would help to galvanize communities to work toward ending the systemic oppression and violence against black people. Yes women, notably, women of color, continue to show up for our country, and it’s high time we show up for them. Within the Women’s Movement, we often hear calls for unity among women asking us to lay down our identities and find solidarity in our shared creed: we have more in common than we do not. This is motivated by a genuine hope to look to the future and move forward in solidarity. So what can we do now? How do we move forward in unity, working together for a fairer and more just society? Any good historian will tell you, the past is where we find the future. We start with our history. The only way to move forward is to start by knowing and recognizing our shared history. That means recognizing beginning of the modern Women’s Marches is The Million Woman March in 1997 organized by Phile Chionesu; recognizing the #MeToo movement began twelve years ago when Tarana Burke carved a space for survivors to share experiences of sexual assault; recognizing that intersectionality was coined by Kimberlé Crenshaw in 1989 as a lens to understand compounded oppression based on identity, rather than as a replacement for the words “inclusive” and “diverse”. When we do not know our history, we forget it. And when we forget it, we erase it. 2. Admit where we are. We live in the Information Age. We can’t know it all nor are we expected to. We cannot read every book or know every theory. However, we are responsible for educating ourselves and for embarking on that journey. We are responsible for understanding the systems in which we live. We are responsible for understanding how we benefit from those systems and what role we play in them- consciously and not. We are responsible for seeing ourselves, actions, and our positions. And we are responsible for challenging the assumptions we hold about ourselves and each other. In other words, challenge yourself. Seek knowledge. Educate. Repeat. The Women’s Caucus will be participating in Black History month in February and Herstory in March at our meetings and on social media. We hope this will serve you in this endeavor. 3. Step up and step back. And I don’t mean wear a safety pin. Do the real work it takes to challenge culture. Change doesn’t just happen in the political arena. It happens in our daily lives. Be courageous, confront the microagressions, the exclusive language, the jokes, the culture. It’s not easy and is almost always “just a joke” or a well-intended gesture. But address the injustices you see, and do it in a meaningful way. One way to do that is to step back. Yield your platform to someone else’s voice. Yield your ‘right of way’. Listen to the stories, the opinions, the suggestions of women of color, of differently abled women, of LGBTQ women. Elect and follow them. Amplify their voices, their plans, their ideas. Support them by standing with them and silencing yourself. 4. 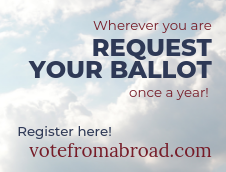 Engage in political reform. Criminal justice, environmental justice, military industrial complex, affordable healthcare, education, housing, gender disparity, family leave, voter suppression, gerrymandering, etc. We all have our different interests. Choose yours and “tuck in.” Women’s Caucus would love to have you. Have an idea for something we can do? We want to know! As we have seen this year, your contribution, your time, your voice is valuable. You can make a difference. And when you feel worn out, don’t despair or disappear. 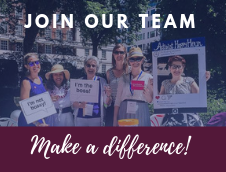 Political burnout is a real thing, and a support network like Women’s Caucus is great for rejuvenating your spirits, maintaining your drive, and meeting awesome women who will inspire you. 5. Talk to your people. Whoever they may be. Your family, your friends, your work colleagues. We have power in our spheres of influence, and each of them will have power in theirs. Use that power to educate, work together, and rally. 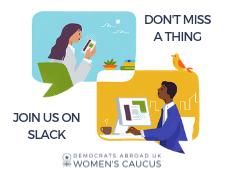 Women’s Caucus Teach ins, legislative scripts, activist happy hours, and socials aim to give you the tools to do this and to support you. So in 2018, as we work toward electing Democrats, opposing bigotry of the current administration, and creating a more fair and just society, let’s start by reflecting inward. Let’s learn and celebrate our history, challenge ourselves, step up and back, engage, and organize. By doing this, we can create solidarity in our movement, support women, and make a lasting change. If you would like to get involved, Women’s Caucus wants you. Email, Facebook us, subscribe to the newsletter, keep visiting our website! We can’t wait to hear from you!